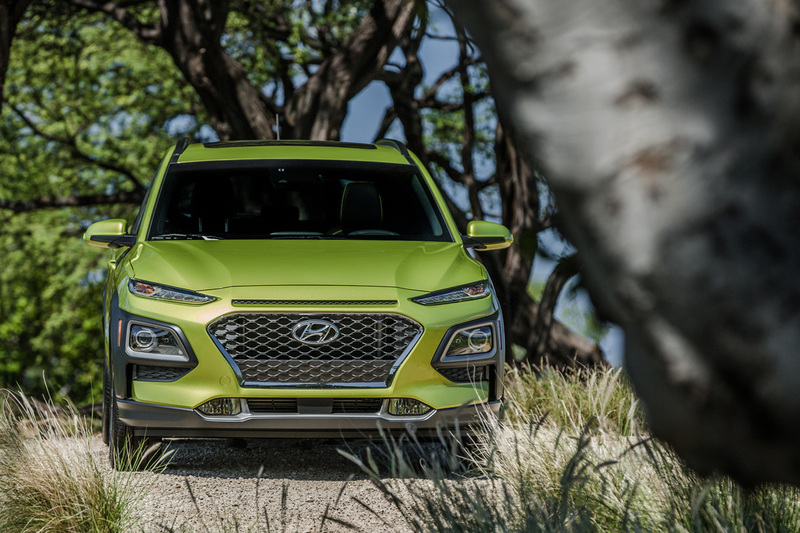 At the LA Auto Show, the 2018 Hyundai Kona compact crossover made its North American debut, a definitive splash into the hot pool of new sporty CUV’s that’s now getting even hotter. 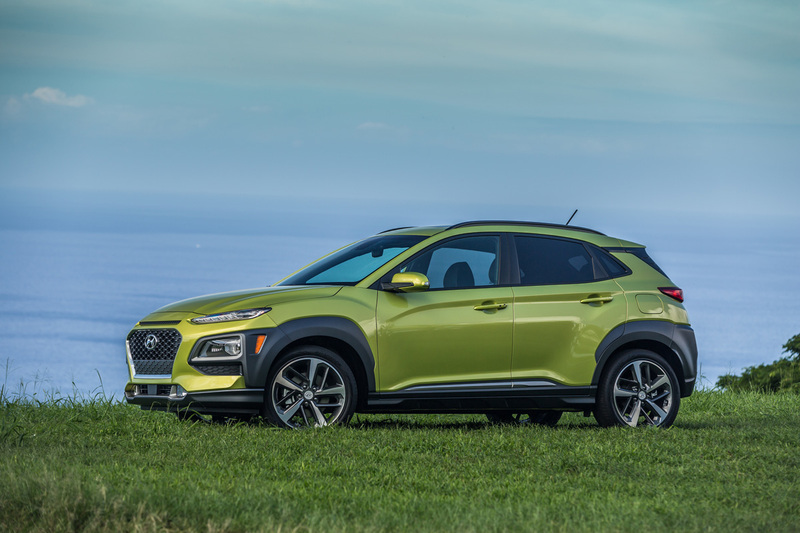 To start out with, Hyundai’s new entry into the compact crossover class is immediately a standout among its peers such as the Ford EcoSport, Chevrolet Trax, Toyota C-HR and the Nissan Kicks also just unveiled at the LA Auto Show. 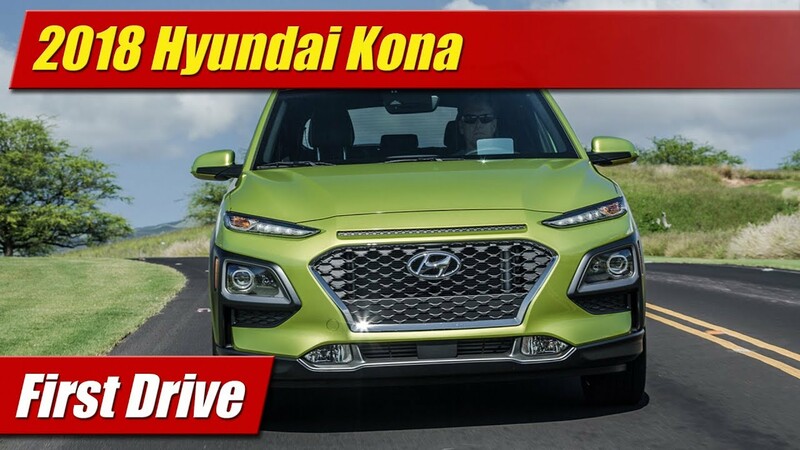 The Hyundai Kona is clearly more upmarket in its basic style, content of engineering and technical gravitas compared to some of its competition barely separated from the third-world global market imports that they are. 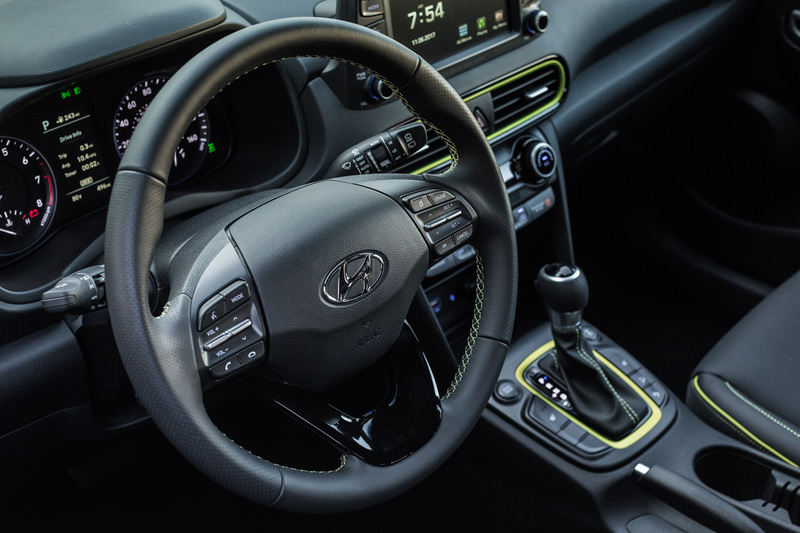 In the Kona we have more styling ovation, a character that carries itself with more of an upscale vibe with features like LED headlamps and daytime running lights, lots of chrome bright work. 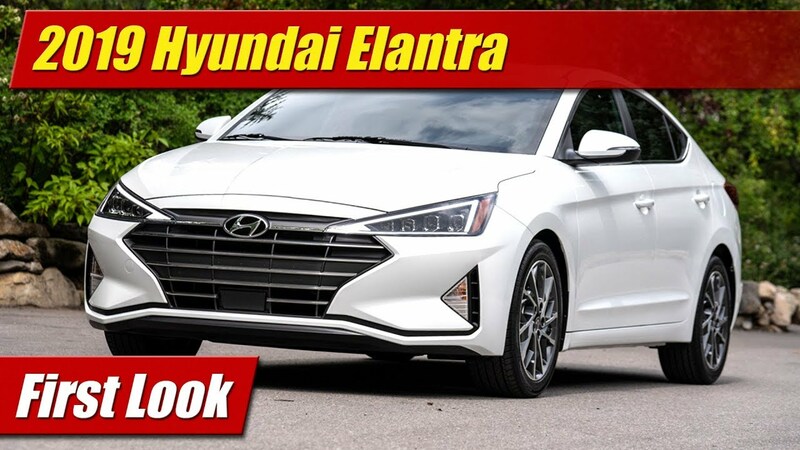 And there’s ability to option it up with a lot more than just a high-end infotainment system to extend the capabilities of your expensive smartphone. 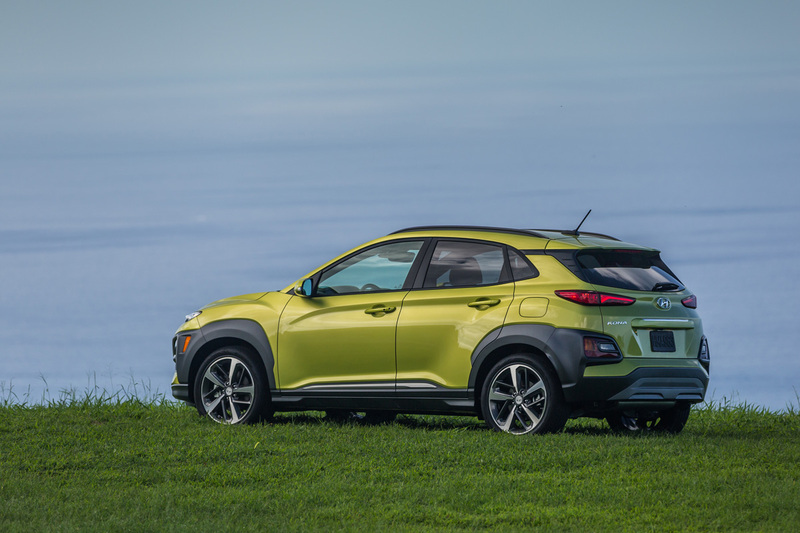 Available in four trim grades from mild to wild, the Hyundai Kona actually aims to appeal to someone who has more than a passing interest in cars. 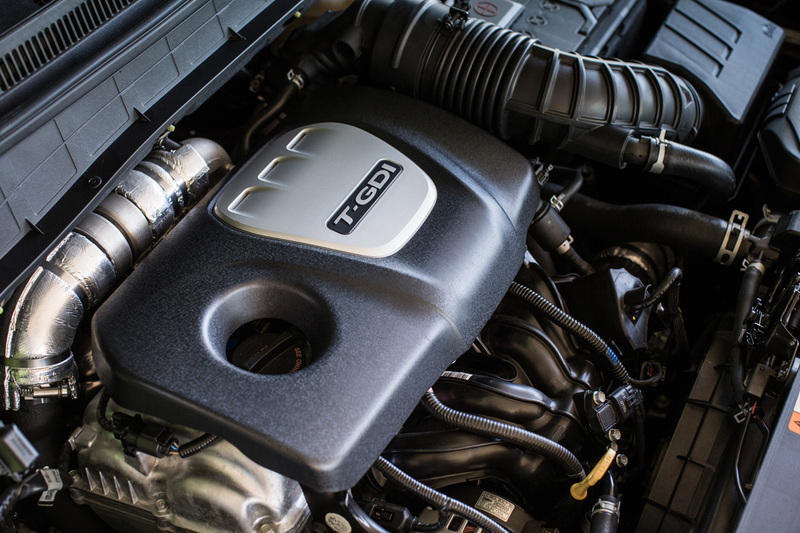 It’s standard levels of equipment start where others top out, offering upper end features most don’t at any price. 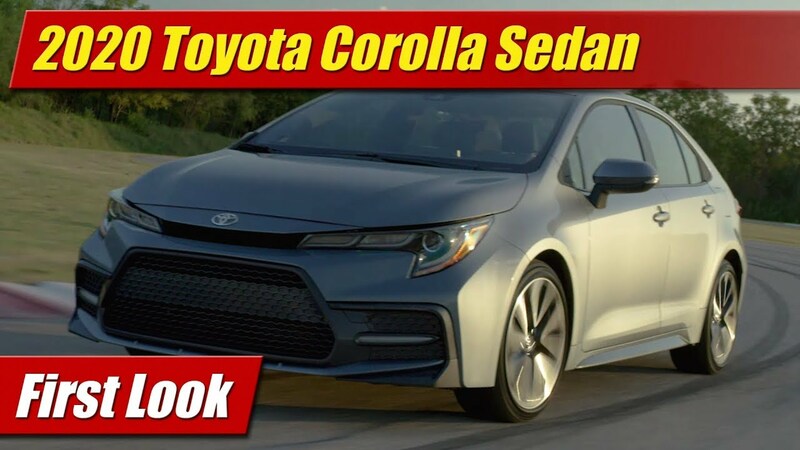 It offers two powertrains starting with a class-leading 2.0 liter 147 horsepower four that comes mated to a six-speed automatic transmission, not a CVT. 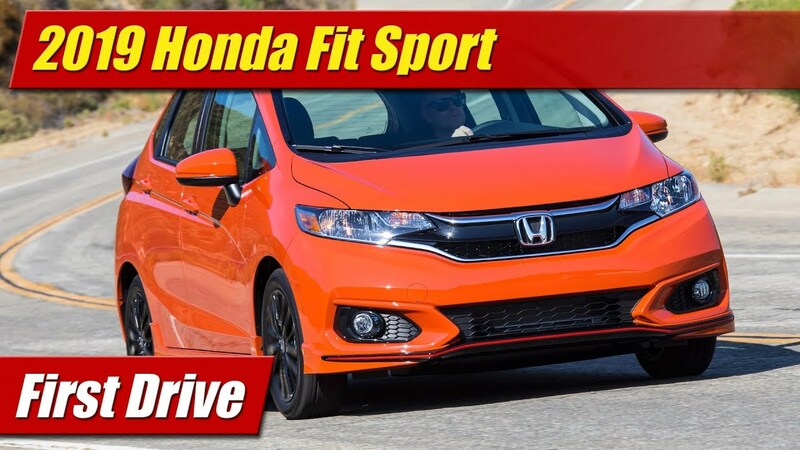 If that wasn’t enough you can get a powerful 1.6-liter turbocharged four with a downright abusive for this class 175 horsepower mated to a 7-speed dual-clutch automatic, the next best thing to a proper manual. 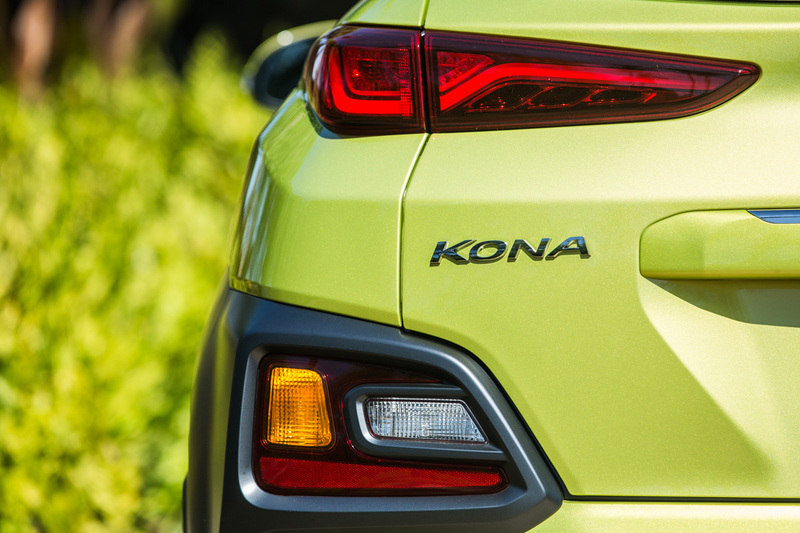 And oh yeah, you can get the Kona in both front-wheel drive and all-wheel drive. 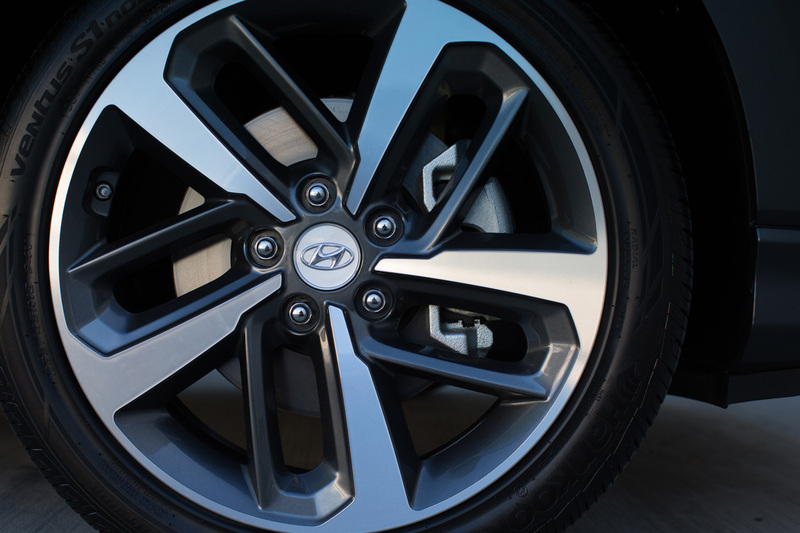 Take that Kicks and C-HR! The chassis too overshoots the targets its plebeian peers set out as well. 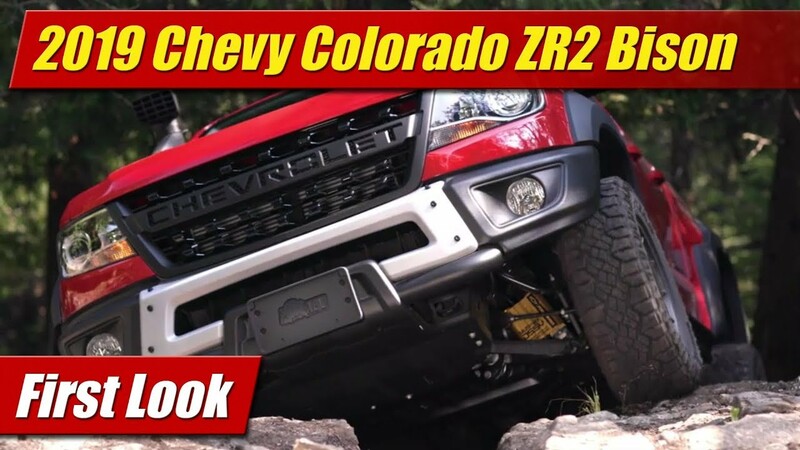 With four-wheel disc brakes, an available multi-link rear suspension and wheel sizes up to 18-inch alloys with 235 section rubber it has sporting intentions most of them were never taught. 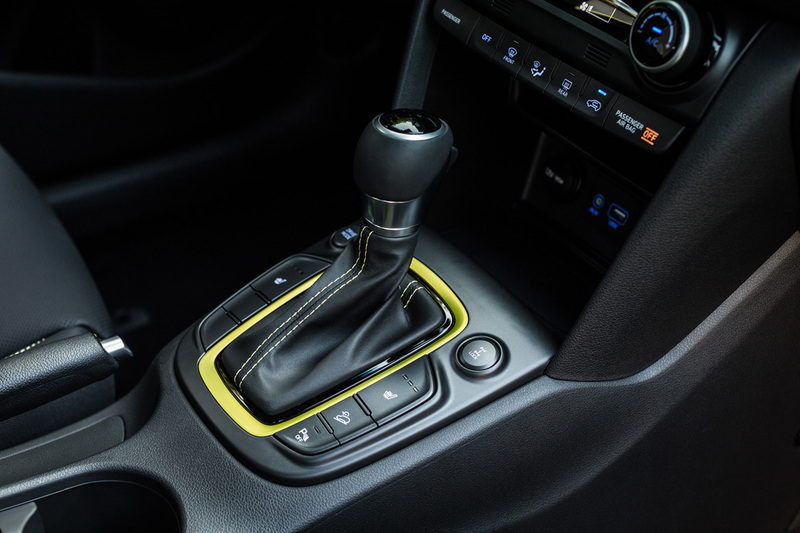 Inside you’ll find an interior with high quality materials and a higher level of standard equipment than many. 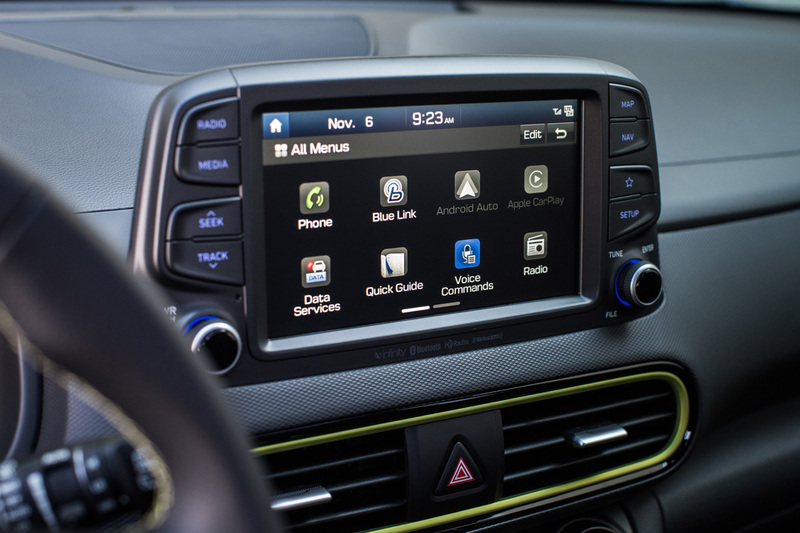 Infotainment systems start with standard Apple CarPlay and Android Auto capability for instance. Navigation and full boat audios systems are available as well. 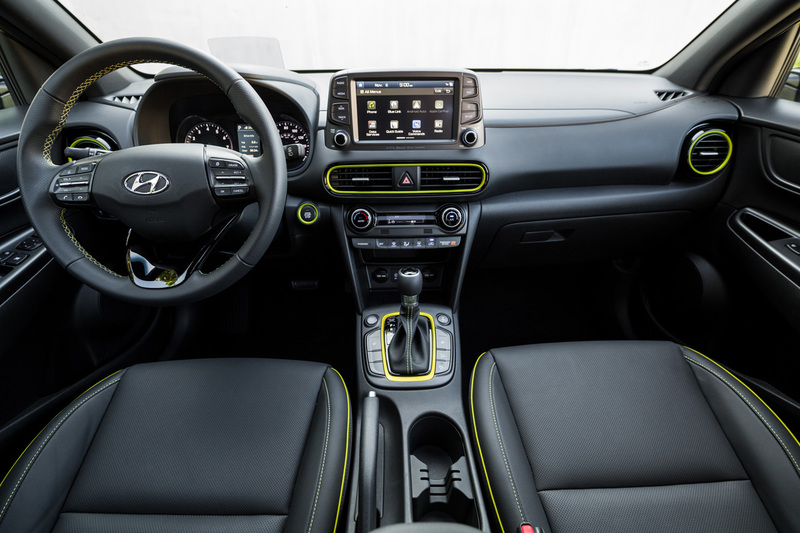 Leather seating is available as are a number of premium niceties like a head up display and wireless phone charging. 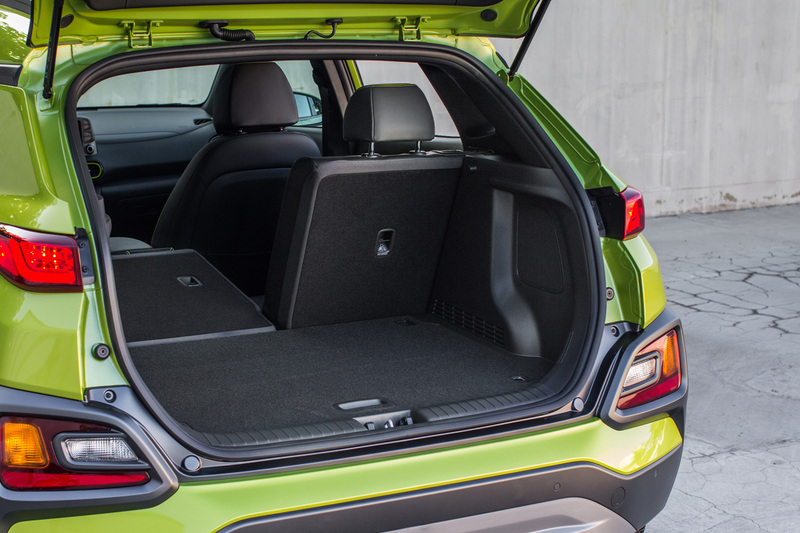 Standard seating surfaces are cloth with SE and SEL trim grades, leather with Limited and Ultimate. 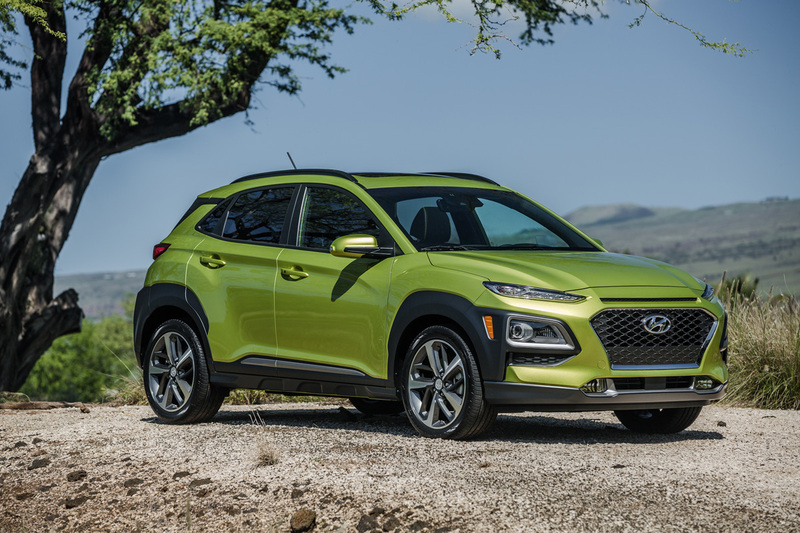 The Kona is also chock full of safety features with Hyundai already telling us they expect a five-star government and a Top Safety Pick IIHS rating when it’s tested. 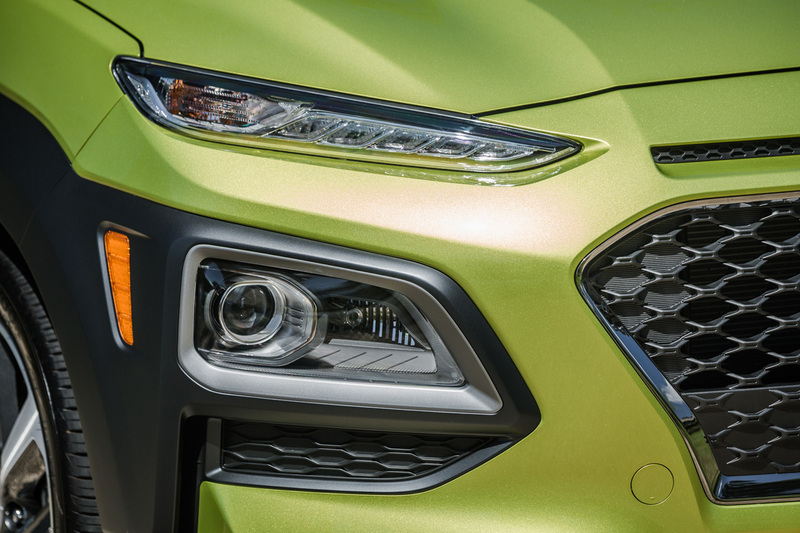 It has all the advanced active features available such as lane-keeping assist, forward emergency braking and even driver attention warnings. 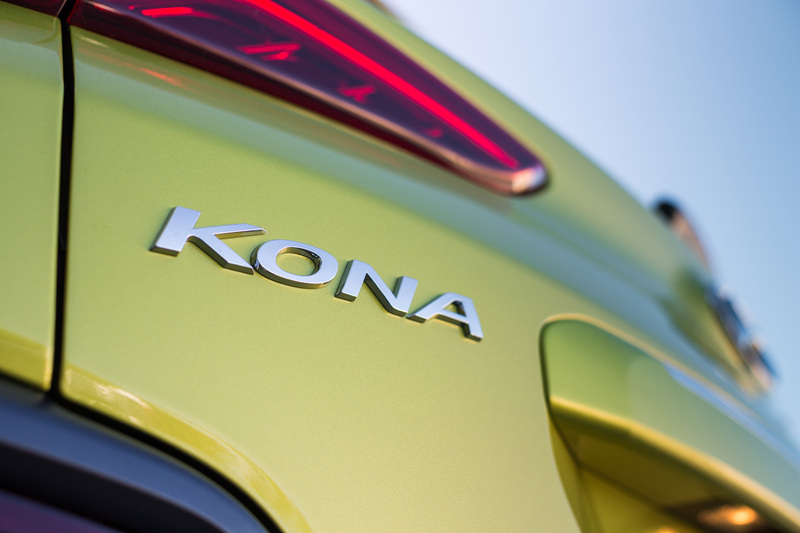 The Kona goes on sale in North America early in 2018 with pricing to be announced closer to that time.